LOS ANGELES, CA: Julian Construction, Inc. (julianconstruction.com), a foundation repair and construction and earthquake retrofitting specialist company in California, is joining with many different organizations and the Los Angeles Mayor in a concerted effort to bring California’s homes up to code and ready for the next big earthquake. 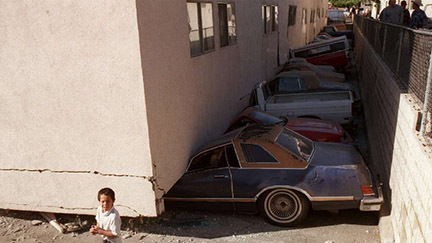 The earthquake preparedness process ranges from small repairs of homes which need more modern earthquake reinforcement, to large repairs of office buildings which may be in great danger of collapse in the event of an earthquake. The company urges all California homeowners and business owners to join in the process. One such person joining in the effort to strengthen California homes is Los Angeles mayor Eric Garcetti, who made the following statement in December last year: “The time for retrofit is now. Complacency risks lives. One thing we can’t afford to do is wait.” The mayor announced his intentions for a city-wide earthquake retrofitting program here.